Laka, meaning "cloudberry" in Finnish, is produced by soaking cloudberries in alcohol for two to six months. This allows the alcohol to develop a mature flavor whose sweetness and distinct aromas cannot be matched. The alcohol content of Lakka can differ depending on the producer, with one specific variety of Lakka, the Lapponia Cloudberry Liqueur/Lakka having a 21% alcohol content. Sima, now a sparkling mead-like beverage, was originally produced like any other mead. Today, it is fermented with various types of sugars and mixed with lemon, raisins, and dry yeast, and raisins during the different stages of the fermentation process. Typically, the flesh and the rind of lemons are used to spice this Finnish drink during the first fermentation, with raisins added during the second fermentation process to dilute the sugar content of this alcoholic beverage. A cheaper and more commercial form of Sima is oftentimes produced with apple wine, grape juice, and carbonated water. And while still a tasty concoction, it is no substitute for the flavors of traditional Sima. Produced from six-row barley, this is one of the most popular and well-known alcoholic beverages in Finland, at least among tourists and foreigners. With approximately 80% alcohol content, Finlandia Vodka has a dry taste and lacks the sweetness of several of the beverages on this list like Laka, Sima, and Koskenkorva. Often referred to simply as Koskenkorva or Kossu, this vodka-like viina is the most popular of clear spirits in Finland. 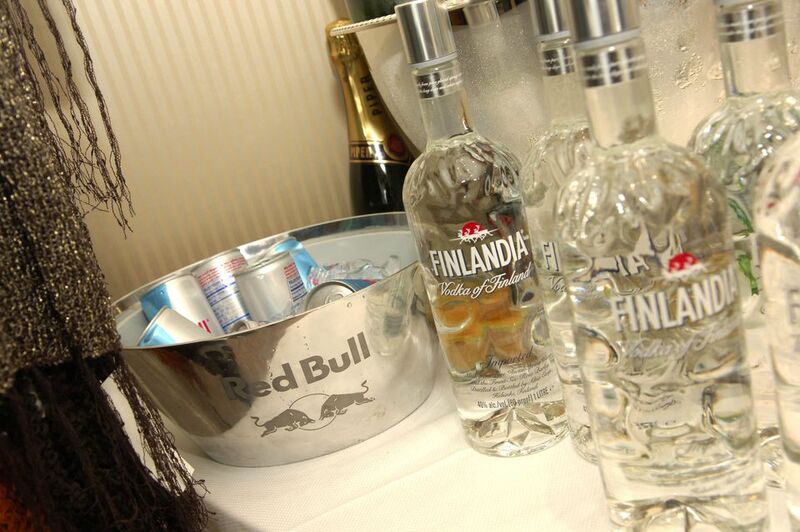 With a similar taste and alcohol content of Finlandia vodka, Koskenkorva Viina is markedly sweeter. Named after a small Finnish village, the word "Koskenkorva" itself is a symbol of Finnish culture. Salmari is a vodka cocktail, pre-mixed with Koskenkorva Viina (see above) and Turkish pepper salty licorice. Amongst Finnish locals and tourists both, this is perhaps the most popular of alcoholic beverages in Finland, especially amongst party-goers at nightclubs and pubs. Distilled from either grains or potatoes, Akvavit is flavored with a number of herbs and spices, including fennel, caraway seeds, coriander, anise, and dill. Popular since the 16th century, it is still often aged in oak casks and is often paired with smoked fish, lutefisk, pickled herring, and other popular Scandinavian dishes. Fermented pear or apple juice is used to brew this popular Finnish beverage. Ciders can be either sweet or dry with great variations in color depending on the amount of apple or pear pulp removed during the fermentation process. Warm, sparkling cider is the most popular type of cider in Finland and is oftentimes served during winter festivals and holidays. Another popular winter beverage is Glogg. Wine is mixed with juice, spices, and piece of fruit, warmed, and served hot in large mugs. Beyond liqueurs and other strong drinks, Finland produces some of the world's greatest beers. Koff and Karhu, both produced by Sinevrychoff, are two of the most popular. There are a number of varieties of Koff, all with different alcoholic contents from Koff I with a 2.5% alcohol content to the Koff IVB with a 7.5% alcoholic content. Another large brewery in Finland is Hartwall.